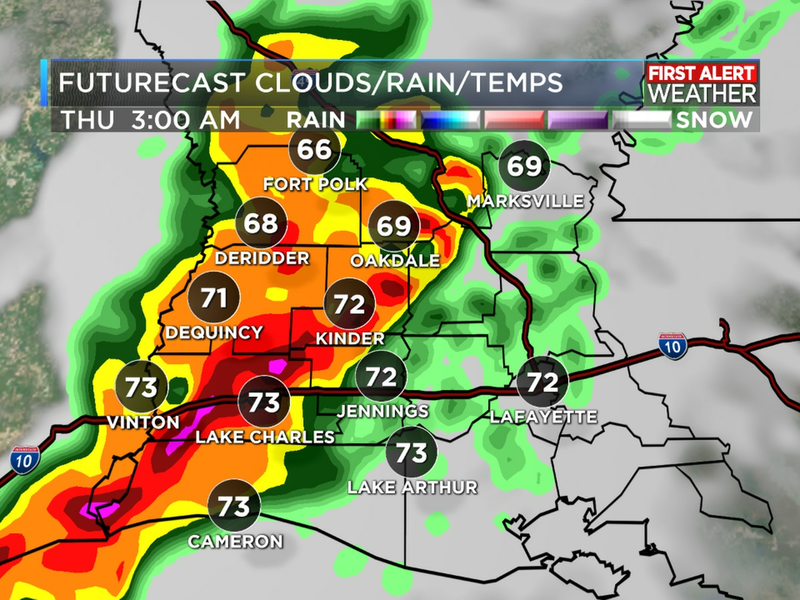 LAKE CHARLES, LA (KPLC) - Through the day, it will be nice and sunny. There will be a few clouds around. Most of those clouds will be high thin clouds that will not bring any rain. It is a windy day too. The winds are coming out of the south and blowing around 15-20 mph. This is increasing the humidity and it’s keeping the temperatures from getting too hot today. The temperature should get up to the upper 70s. This evening, the clouds will begin to build up some more. They will slowly be increasing around sunset and especially overnight. I do not expect any rain from these clouds, so it will only be cloudy. With the clouds around, that makes the sunset have potential to be great! There might be either too many clouds, or enough to add a lot of color to the sky! Temperatures will still be warm around the 70s. Overnight, the clouds will be on the increase. By first thing in the morning on Wednesday, there should be a lot of clouds around. Some areas may have complete overcast. This will keep temperatures much warmer tonight. Lows will only be in the upper 50s to the mid 60s. Wednesday, the clouds will be a little more noticeable. 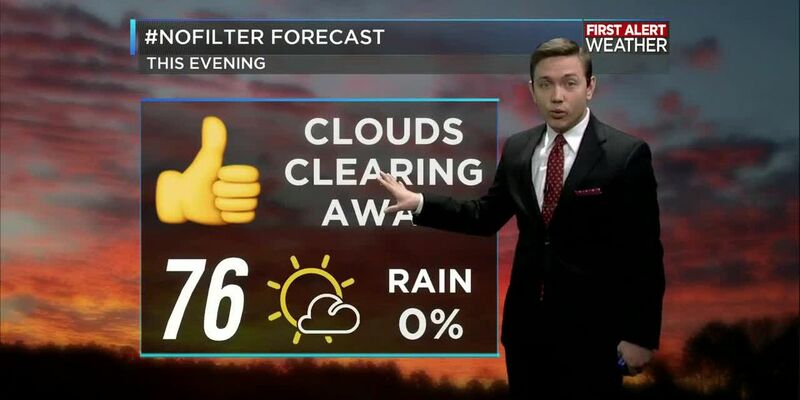 In other words, it will be mostly cloudy at times. On a few rare instances, the sunshine will still peek through the clouds. 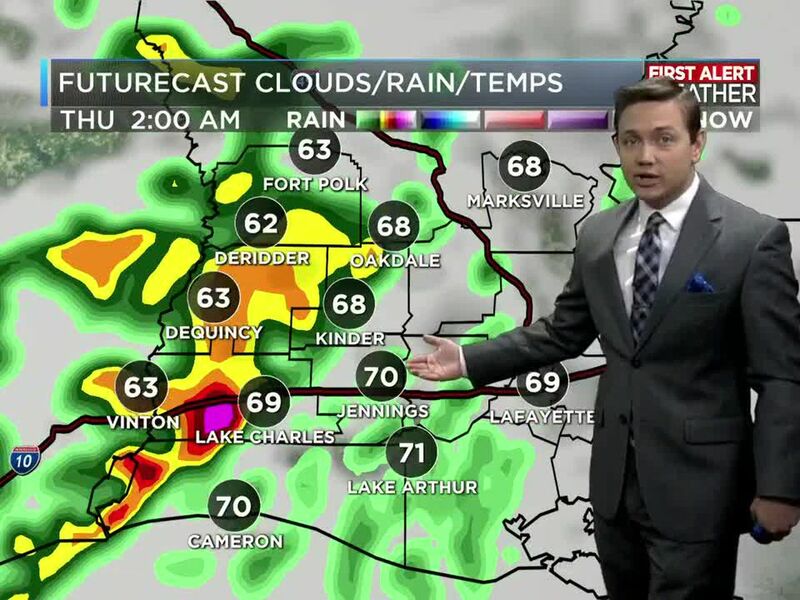 I do have the rain chances up to 20%. The rain should hold off until the afternoon at the earliest. Even then, it will be very light. Most of the rain will come overnight. That is when a cold front will be arriving. Temperatures will warm up to the mid to upper 70s. That cold front will bring some heavy rain and a few storms late Wednesday night and Thursday morning. 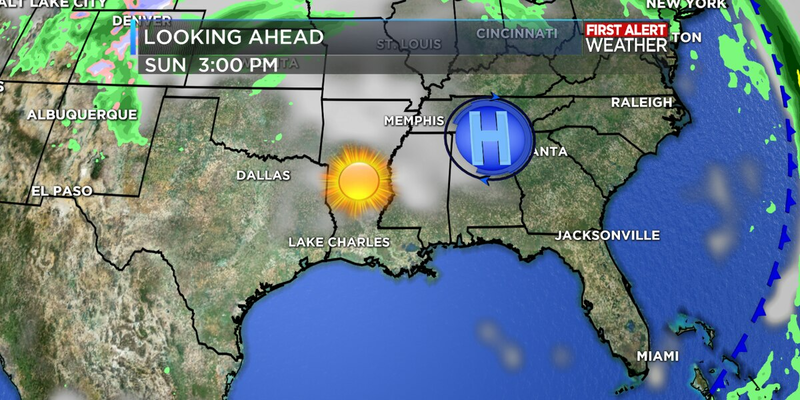 The cold front itself will push through around midday on Thursday. Then the rain will start to come to an end. 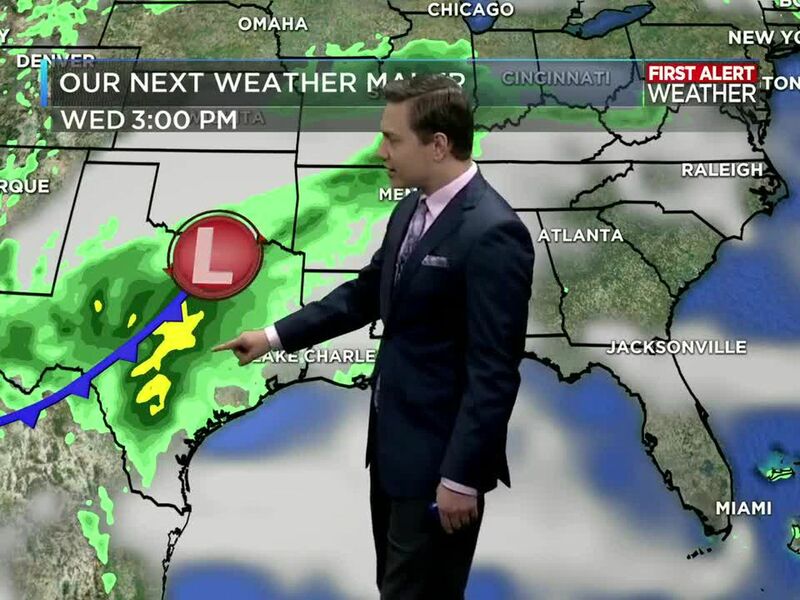 I have the rain chances up to 70% for Thursday. 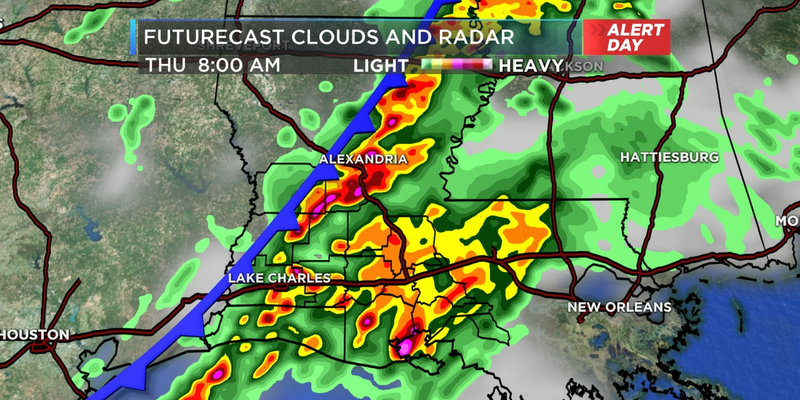 As the cold front is pushing through, the rain could be heavy, and the storms could be strong to severe. It is a long way out, so things could change. 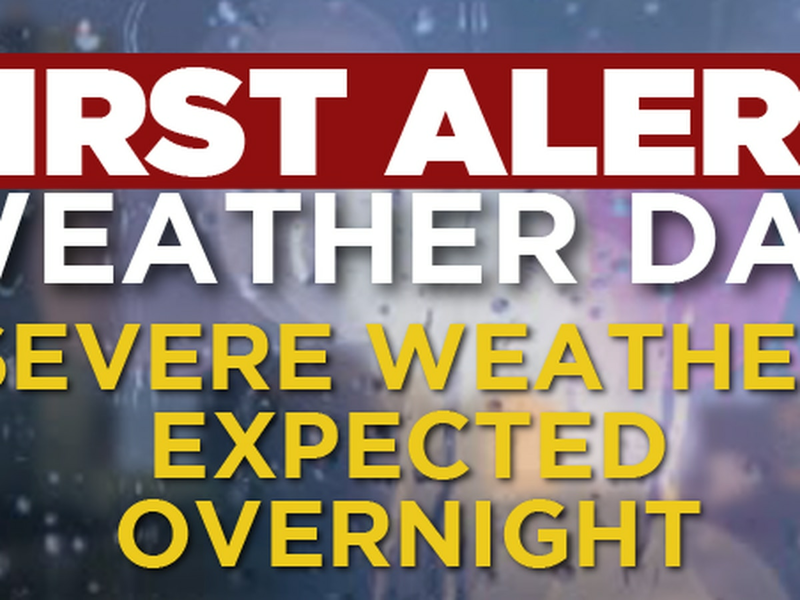 There is at least a slight risk for severe weather Wednesday Thursday morning. As of now, I think the greatest threats are strong to damaging winds, and hail. The tornado threat is still possible, but I think it will be low.